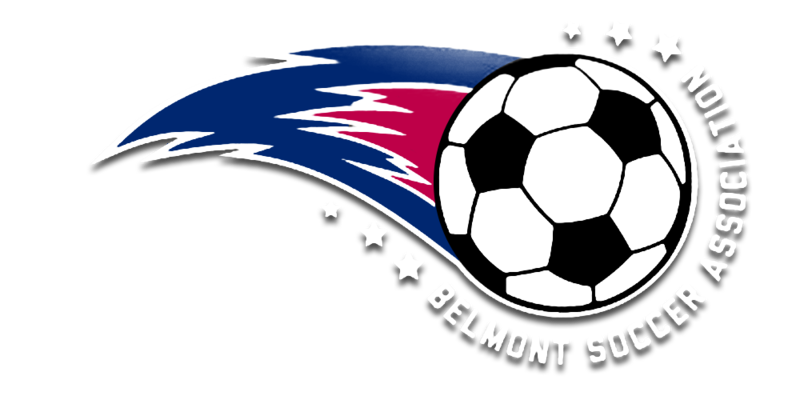 Belmont Soccer Association (BSA) is always looking for individuals in 7th grade and up (including adults!) interested in becoming soccer referees. Games are typically played on Saturdays (mornings and afternoons) and Sundays (afternoons) in the fall and spring. There are two types of referees in Belmont. Town League (TL) referees are generally 7th-8th graders. Grade 8 certified referees must be at least 14 years of age, and are free to referee in both TL and BAYS games. Note that Grade 8 certification is completely unrelated to school grade i.e. adult referees also start out as Grade 8 certified. BSA offers a referee clinic for 7th and 8th graders each year in September. The clinic is 4 hours in duration, and includes both classroom and on-field time. To become a TL referee, a candidate must be in 7th or 8th grade and complete this course. The cost for this clinic is $50. Referees who complete this course will referee Grades 3 and 4 TL games at a rate of $20 per game. Information about this course, including registration details, will be posted on the website before the end of July. In addition to the referee course, TL referees are expected to, and will be assigned to, shadow a more experienced referee two games prior to officiating on their own. ALL referees must review the Game Assignment and Reporting Guidelines section for extremely important information regarding how to accept/reject games and report scores. Referees age 14 and older (including adults) must obtain a Referee Grade 8 certification. This is the entry level course needed to referee youth level games – referees with this certification are eligible to referee both BAYS and Town League games for BSA. See the details below on how to become a certified Referee Grade 8. Set up an account with massref.net and register to take the Referee Grade 8 Entry Level Course. Please see the course listings and choose any time or place that is convenient before the start of the next season. If the candidate is 14 by April 30 for the spring season, or by September 30 for the fall season, but not by the date of the course, please set up the account as above and then email [email protected] to register. Certification is typically for the calendar year; however, courses offered in the summer provide certification for the fall of the current year and all of the following year. As of 2017, the cost is $115.00. BSA will reimburse all youth referees the certification course fee provided the referee has worked at least 5 games. Certification requires the completion of a 4-6 hour online course, 8 hours of classroom instruction, and a passing grade on a 50 question written test at the end of the classroom instruction. After successfully becoming certified as a Referee Grade 8, go to the BAYS website bays.org and follow the process for Creating a Referee Account, which includes contacting the BSA Assignor and completing the Online Referee Application. Please read all information under the Referee section of the BAYS website. Email Gesse Faber to let her know that you passed the Grade 8 entry level course, registered with BAYS, and would like to referee for BSA. At the beginning of each season, all referees are expected to attend a pre-season referee meeting. Information about these meetings will be posted on the website. Certified referees must complete the re-certification course annually to maintain their credentials. Referee Grade 8 re-certification courses can be found here. As of 2018, the cost is $50.00. BSA will reimburse all youth referees the re-certification course fee provided the referee has worked at least 5 games.